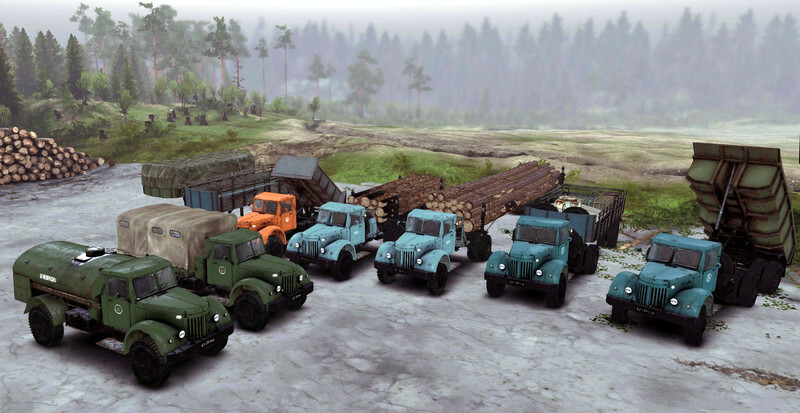 I am glad to present an update of the MAZ-200 truck fleet. However, this update can be called very conditional. In fact, it is - almost from scratch created by the pack. Models have a completely different level of study (both 3D models and textures themselves), due to the use of original drawings, a huge number of photographic materials, technical descriptions, etc. The number of trucks is noticeably enlarged in the package. Added 3 cars. Added addons, the mode is completely reconfigured. The volume of the archive is very significant, because In fashion, a large number of high-resolution textures are used. Possible drawdown of FPS on weak PCs, especially when there are more than 3-4 of these machines nearby. After some time, the mod will be ported to the new version of the game, with appropriate modifications. MAZ-205 - dumper with rear unloading with a load capacity of 6 tons. The first truck, produced by the MAZ plant under its own brand. The truck is available immediately with the dump body installed and has only one add-on - the trailer on the frame MAZ-205 with a similar body. 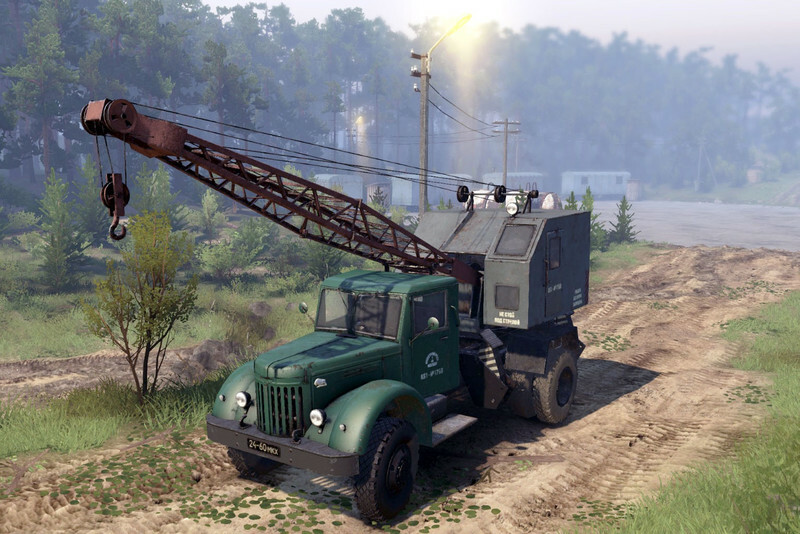 The dump truck has a shorter base than the MAZ-200 base chassis. Wheel formula: 4х2. MAZ-200-K61 - mobile crane on the chassis MAZ-200 with a payload of 6t, which has a mechanical drive. The crane is also available assembled and does not have any addons. The crane has a working hook and allows lifting loads of up to 5-6 tons with a minimum boom reach and about 2 tons at maximum. For ease of use, a load indicator is installed on the boom, similar to the one on the real K51 / 61 models. Wheel formula: 4х2. 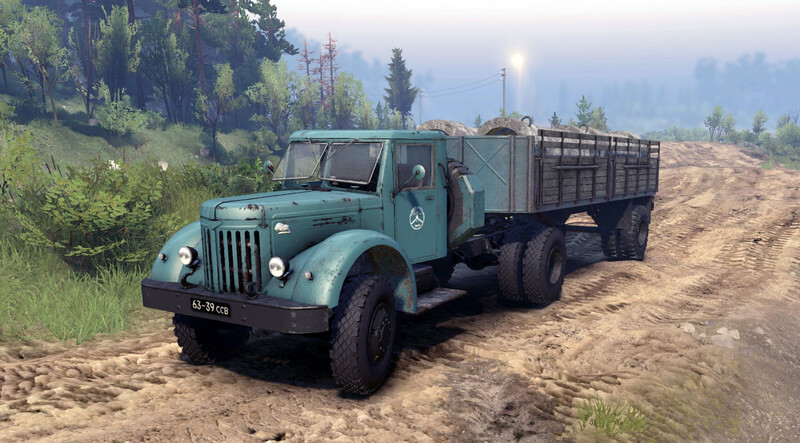 MAZ-200 / 200V - basic chassis / modification 200b (tractor) with a large number of add-ons (onboard platform, awning, tanker, coupling + semitrailers MAZ-5215b and MAZ-5232 and auxiliary add-ons (extra tank, spare for the cab). formula: 4x2. MAZ-502 is a military version of the MAZ-501 version, which has a slightly boosted engine and its own set of add-ons (canopy, bead, coupler + part of MAZ-5215b semitrailers, tanker tank, spare wheel and repair parts). The truck has a single-gauge rubber of increased radius on both axles. Wheel formula: 4x4. Models MAZ-205 and K-61 were conceived under various story maps and their direct functionality in the game is very limited. The crane requires careful work, because can fly to heaven. Advice - do not use the tail of the winch too short (less than 0.5 meters) and do not try to lift (tear off the ground) loads of more than 6 tons.